Buying a home or finding a new apartment to lease doesn’t have to be a stressful experience. Our skilled brokers understand the importance of such an investment, both personally and financially, and will assist you every step of the way. Here you will find properties for sale and for rent. Of course, we will search for additional properties if you can’t find what you’re looking for here. Buying real estate property in Folsom, El Dorado Hills, Cameron Park, Granite Bay, Roseville, Rocklin, and the greater Sacramento area is a serious venture and most likely one of the biggest financial decisions you will ever make. Whether you are a first time home buyer, relocating to a new area, buying a different home to better suit your needs, an investor looking for a great rental property, or buying a second home, this decision must be made carefully. The real estate purchasing process can be an absolute pleasure, or on the other hand, a complete headache. Purchasing real estate may not just be a home for your family; they can be an investment in the property, local area, as well as your future. When purchasing real estate, our team at Wallen Realty knows there will be many questions along the way. From preparing for your search to moving in to your new dream home, our team at Wallen Realty is here for you throughout the entire process as consultants, educators, and partners. Contact us today to schedule a free consultation to meet our team and discuss your real estate needs! 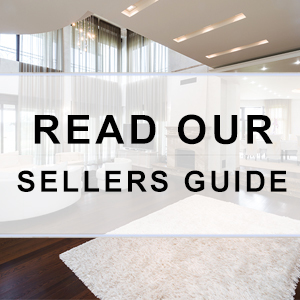 Below you will find some of our recommended steps to help you throughout your real estate purchasing process. We are more than happy to help you with any and all of these steps along the way. Schedule a no hassle appointment today, and find out what Wallen Realty can do for you! Evaluate your budget – decide exactly what you are comfortable spending for a down payment & closing costs as well as any other monthly expenditures (i.e. ; maintenance, insurance, real estate taxes, monthly mortgage payment, HOA, mello roos, utilities, parking, etc). Down payments can range from 0% to 20% or more of purchase price and closing costs can range from 2% to 5% of your final loan amount. Obtain mortgage pre-approval from a qualified lender or bank. We have many preferred lenders we can recommend. Identify your timeline for moving & explore different properties and neighborhoods to identify your preferred needs such as location, space, schools, amenities, features, restrictions, etc… We recommend you make 2 lists. The first should include items you must have (i.e., the number of bedrooms you need for the size of your family, a one-story house if accessibility is a factor, etc.). The second list is your wishes, things you would like to have (pool, den, etc.) but that are not absolutely necessary. Realistically, you probably will not get everything on your wish list, but it will keep you on track for what you are looking for. Start your research early: As soon as you have an idea of an interest in purchasing real estate, begin your “homework” by reading local and national online articles, magazines, and newspapers that discuss real estate markets and trends. Be sure to make notes of local properties of interest, and watch for comparable homes being sold. Look for homes that have been on the market for awhile as well as any changes in asking prices. This will give you a great idea about local markets, and help you better prepare for your buying process. If you are buying CASH you can easily bypass step #2, but must be prepared to provide Proof of Funds to show you have enough liquid assets to purchase without obtaining a mortgage. Find a property: Typical time frame 1 week to 2 months. Depending on what you are looking for, the length of your search will vary. The average person sees 10-15 properties before deciding on one. In order to remember the properties you visit, we recommend taking notes, pictures, and videos. Internet-savvy buyers save time by doing their ‘homework’ before their search. The average number of properties viewed before buying by our internet buyers is 4-5. Execute a Contract and Open Escrow with Deposit: Typical time frame 1 day to 1 week. Once the contract has been executed buyer makes a deposit to open escrow depending on the agreed upon term in the contract. The deposit amount can range from 0% to 20% down for deposit. All Escrow Deposit Funds are held by the Real Estate Company, Title Company, Escrow Company, or an Attorney and those funds are applied towards the closing on the designated closing date. Wage Earner – 2 years most recent 1040 tax returns & W2’s, 2 most recent paystubs, 2 most recent bank statements. Self-Employed – 2 years most recent 1040 tax returns & 1099 statements if applicable, 2 most recent corporate tax returns 1120’s or 1065’s if applicable, 2 most recent bank statements. Satisfy Conditions on Mortgage Commitment Letter from Lender: The lender will have specific conditions that must be met before they will finance your purchase. These conditions can be appraisal, certain financial info, personal info etc… Once you and your mortgage loan officer have satisfied these conditions you are then issued a CLEAR-TO-CLOSE. Schedule a Closing: Typically the closing date will already be agreed upon on the purchase contract, but there are instances that allow for a buyer to close prior to the agreed upon closing date or extend the closing date if need be.